I had been looking for some information on what’s happening in the area of Muslim-Christian relations in post-Mubarak Egypt. Lo and behold I got this in my e-mail box today from Paul Gordon Chandler. The U.S. corporate-media-induced-fear of a radical Islamic takeover of Egypt is largely unfounded…though there are still challenges ahead. Was the woman at the well promiscuous? Over the past several months, I’ve been working on a book that I’ve been “ghost-writing” for an up and coming Christian author. In one of the chapters, I wanted to make the point that Jesus was elusive about his identity with people, “unless of course, you were a promiscuous Samaritan woman.” Point being that Jesus had a funny habit of preferring the sinful outcast over and against the rich, the powerful, and the pious. I think the point is still valid, but I’m wondering if I’ve overstated my case by calling the woman at the well a “promiscuous Samaritan woman.” Do we really know that she was promiscuous? Most authors and preachers I know assume that she was, but I recently read an article entitled Misogyny, Moralism, and the Woman at the well that has challenged that assumption. What makes us think she was promiscuous? Jesus said she’s had five husbands, not five lovers. And the fact that she was with a man that was not her husband? As the author of the article points out, she could have been in a Levirate marriage, which was an arrangement that if a woman’s husband died without a male heir, she was obligated to “marry” her husband’s brother to produce a male heir. So the husband’s brother was sort of like a “husband”, but not really. The author’s point is that too often we read the Bible through misogynistic glasses, and sometimes those misogynistic glasses lead us to read passages with moralistic assumptions that miss the point. His point could very well be true, but the point that I took away from the article was much more mundane: How often am I careless about my assumptions period? How often do I read something into the Scriptures that’s simply not there? So what do you think? 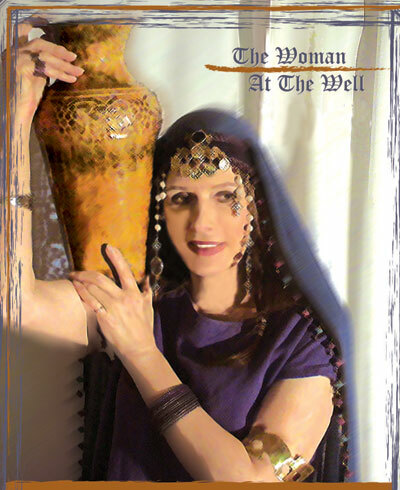 Was the woman at the well promiscuous, as tradition says? Or could the point of the story be that Jesus gives dignity to people despite their low social status? What are the spiritual truths of the story that don’t depend on the interpretation that the woman at the well was promiscuous? Might the story be more meaningful without that assumption? Mr. President, will you please count the cost? I’m glad I’m not the president right now. I can’t imagine what it would be like to be the commander and chief of the most powerful military in the world and have to grapple with a question as serious as “Should I use my power to establish a No-Fly zone over Libya?” Answer no to the question and half the world accuses you of indifference. Answer yes to the question and the other half will eventually get around to calling you an imperialist. The question of if or when it’s ever appropriate to use violence to rescue the innocent is a troubling one. It’s the kind of moral dilemma that doesn’t lend itself to easy answers. While I don’t think that the Bible should be read as if it were a public policy manual, I do think it contains nuggets of wisdom that can guide us through our moral dilemmas, and sometimes those nuggets can be found in the most unlikely places: places like the Old Testament. Rewind: Elisha is sick and ready to die. Joash is the king of Israel. The Syrian army is a growing threat to Israel’s security. Elisha tells Joash to take a bow and some arrows, open a window, and shoot, the arrows representing Elisha’s command to strike the Syrians at Aphek until he destroys them. Elisha then tells Joash to take the arrows and strike the ground. Joash strikes the ground three times…and Elisha is one ticked-off prophet. Why? Because according to Elisha, Joash should have struck five or six times; had he done that, then Joash would have been able to strike Syria until he destroyed it. From Elisha’s perspective, if you’re going to use force against an enemy, you should go all the way, not part of the way. The same holds true for Moses and Joshua, who at times annihilated their enemies, sparing not even the women and the children, and for Samuel who had a thing or two to say to Saul for sparing King Agag. All of these men operated under the principle that if you’re going to use force against an enemy, you have to see it through; otherwise the enemy may come back to bite you. Back to the present: President Obama and the American people have a decision to make. We can choose the path of violence and fly our fighter jets over Libyan soil, but if we do that, are we prepared to go all the way? What happens if our actions provoke an even more violent response from Gadaffi and he goes on an even greater killing spree than what he’s currently doing? Are we prepared to take it to the next level and invade another Muslim nation? Can we afford to do that while we’re gutting our social safety net at home to pay for our occupations in Iraq and Afghanistan? Even Jesus, the famous rabbi that said “Love your enemies” said if a king decides to go to war against another king, he should consider whether or not he has the resources to win (Luke 14:31). In other words, he (or she) should count the cost. Mr. President, I wish I had an easy answer for you. I know there are a lot of people pushing you for a more robust response to the situation in Libya. That has to weigh on you. The only thing I can come up with is if you’re going to do it, then you have to commit to it…or don’t do it at all. Remember that violence almost always has unintended consequences. Will you please count the cost?